Central Board of Secondary Education (CBSE) Class 10th & Class 12th datesheet 2017 : The much awaited CBSE Class 10th datesheet 2017 & CBSE Class 12th datesheet 2017 have been released by the Central Board of Secondary Education for candidates appearing for Senior School Certificate Examination (Class X) and Secondary School Examination (Class XII), this year. 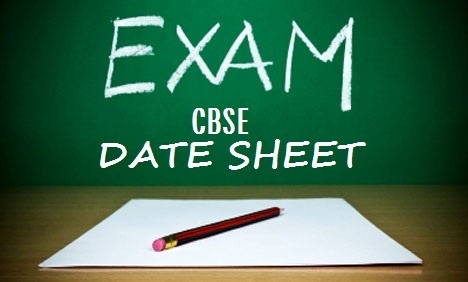 According to CBSE Date sheets 2017, the Class 10 examination will start from March 9 and will continue till April 11 and the examination for Class 12 will start from March 9 and will continue till April 29. You can check out the entire date sheet on the links provided above. In case the links do not work or you face any other problem, feel free to drop us a text. We’ll get back to you in no time. Check out : Predict which DU College you might get into by entering your expected or actual class 12th percentage. You can see the entire CBSE Class X date sheet for the Senior School Certificate Examination 2017 from the official CBSE site www.cbse.nic.in or from the link provided above. Every year around 13 -15 lakh students appear for Central Board of Secondary class 10 and Central Board of Secondary Class 12 main examination in 2017. The admit cards for CBSE Class 10th and 12th examinations will be issued soon. We’ll soon post 12th Class Time Table 2017 & 10th Class Time Table 2017 to help you score well in exams.